We started doing these HHAH shows back in what, 2008? I don't even remember. But it's been cool to see the thought grow and include lots of different artists, organizations and individuals. The whole idea behind the series is that most communities already overlap in some way-- let's shine some light on that overlap and try to make it even bigger so we can all work together in the future. Here's info on the next one, which might be the 7th installment? Again, I don't remember. Here's the Facebook event page. 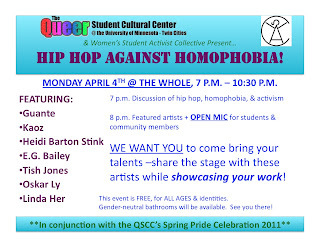 It'll be on Monday, April 4 at the U of M's Whole Music Club. There will also be an open mic component, so come early to sign up. 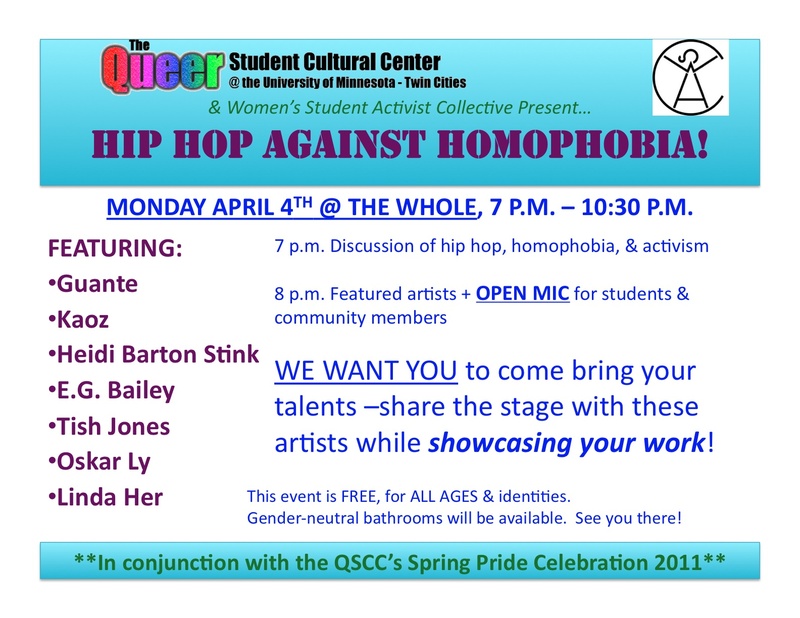 At 7pm we'll be having a community discussion, and then the show/open mic starts at 8pm. Since it's a Monday, we won't go too late, but there's a ton of talent on the lineup and it should be a lot of fun. And it's free and all ages! And that's not it. We'll be doing a very special two-night installment of the series at Patrick's Cabaret in MPLS on June 17 and 18. We have some very special surprises in store for those ones. 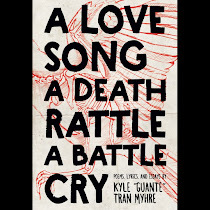 Also, it hasn't been announced yet, but we're thinking about doing yet another one at the Canvas Teen Arts Center on June 16 for the St. Paul family. It'll be a wild three days. Every installment of the series features some different artists, different sponsoring organizations and different venues. It's inspiring to see people working together to build something positive. Let's keep it moving.